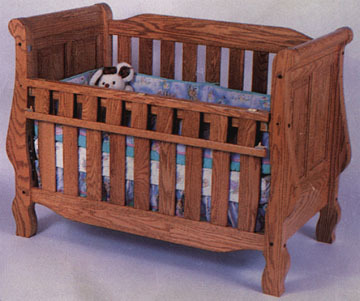 The sleigh style of bed seems to be one of our more requested items at Clayborne’s. Here is our convertible bed, with the familiar sleigh-top design again. This one has the decorative raised panel design on the ends of the bed instead of slats all the way around like the royal sleigh.